In my graphic novel, “Maximum Lifespan”, the mad scientist clones himself into two sons with the hopes of one day transferring his consciousness into them like a download. 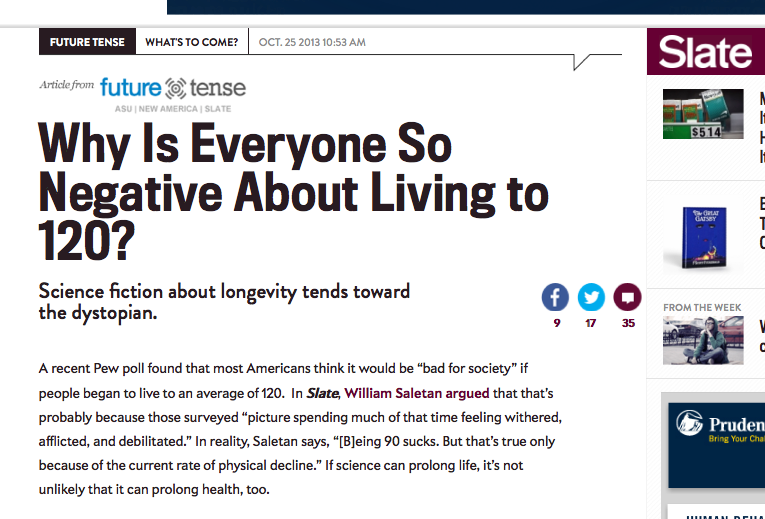 Why DON’T people want to live to 120? It turns out that everyone wants to live to Christmas, most until 80, about 30% until 90, 15% until 100 and <5% to 120. The darker side of living past 160?